I hinted at this super secret project a while back and finally it has been finished and delivered! My younger sister (the next one down from me, not my youngest sister) has just joined me in the 30s club and I wanted her to have something a bit special, so I made her this quilt! 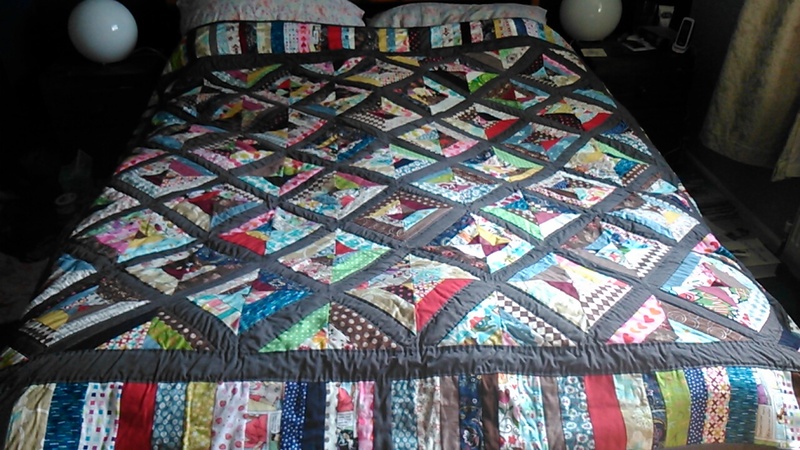 Big enough to cover a double bed, this is a super simple scrappy strip quilt that I have been working on in fits and starts for the better part of a year. Strips of fabric are cut into various widths and randomly sewn together. 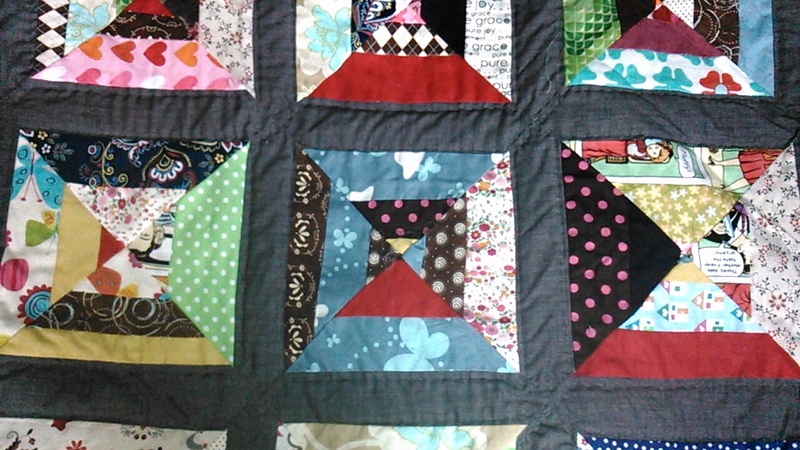 I say randomly sewn together, that’s actually too much chaos for my tastes so I used a grey fabric as the centre for each block, which when pieced together form a diamond pattern. I’m very pleased with this quilt, even though there’s a part of me that wishes I had cut each if the fabrics to the same width to produce a more regular pattern. Still, it’s probably only me that is bugged by this. 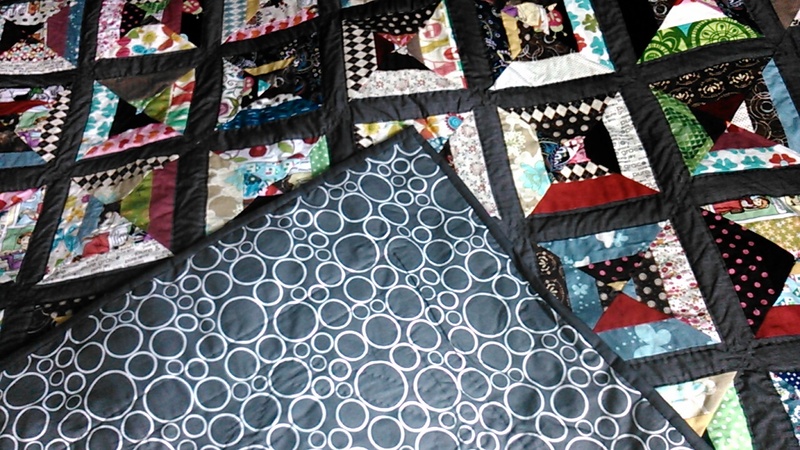 I also love that you can pick any fabric in this quilt and I can tell you about other projects I have used that fabric in, including other projects for my sister. The quilt is backed in an extra wide Robert Kaufman fabric that I was really pleased to find on the Cotton Patch as it’s unusual to find quite a modern design in quilt back fabric, it’s quite often tonal florals. I then hand quilted the whole thing (pretty unevenly :$) with waxed quilting thread and handstitched the binding down with an invisible stitch. The wadding is actually made from recycled bottles! And there you have it, a 30th birthday present I hope lasts for quite some time to come!